The Liberty 2 in. 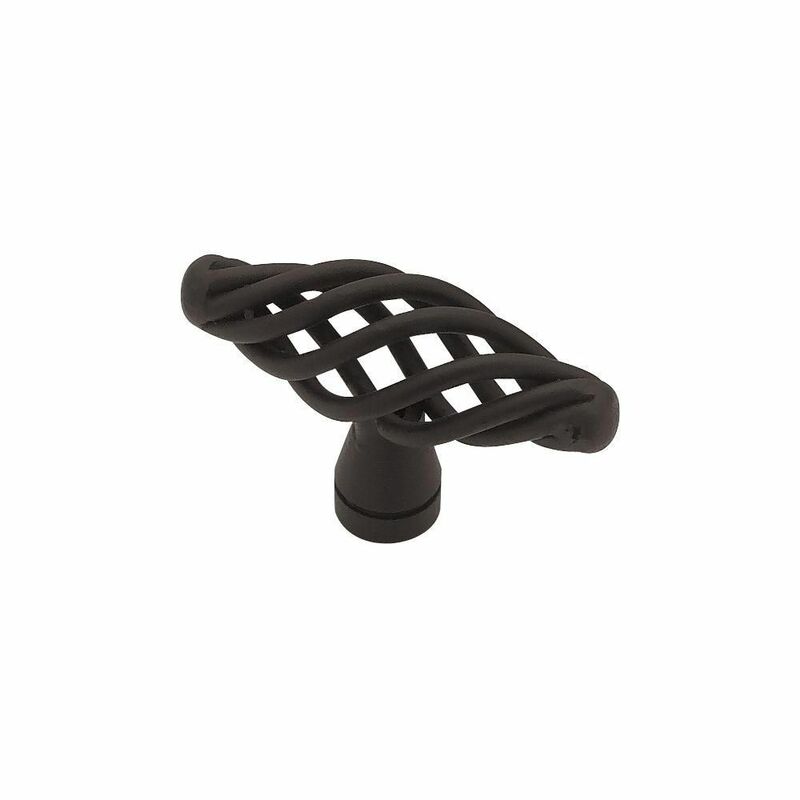 Small Birdcage Oval Knob has a flat black finish for a rustic look. The durable steel knob fits standard 3/4 in. cabinet door fronts and drawer faces. Mounting hardware included for easy installation. 2 Small Birdcage Oval Knob, 1 per package The Liberty 2 in. Small Birdcage Oval Knob has a flat black finish for a rustic look. The durable steel knob fits standard 3/4 in. cabinet door fronts and drawer faces. Mounting hardware included for easy installation. 2 Small Birdcage Oval Knob, 1 per package is rated 4.8 out of 5 by 77.